Search all Cedar Lake homes for sale below. BUYING: Are you ready to buy a home in Cedar Lake, Indiana? Let us help you. 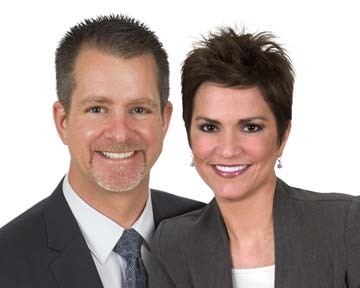 We are Bill Port and Rachel Port of RE/MAX Realty Associates. As Realtors, we have been helping clients buy and sell Cedar Lake Indiana homes for 25 years. We know Cedar Lake real estate. At the bottom of this page we’ve displayed the most accurate list of available Cedar Lake Indiana homes for sale. Getting qualified for a home loan is the first step in buying a home. Let us guide you to one of our local Northwest Indiana lenders. Our lenders will assist you with determining an affordable home mortgage loan for you and your budget. SELLING: Are you ready to sell your Cedar Lake, Indiana home? Maximizing the sales price of your Cedar Lake home is what we do best! 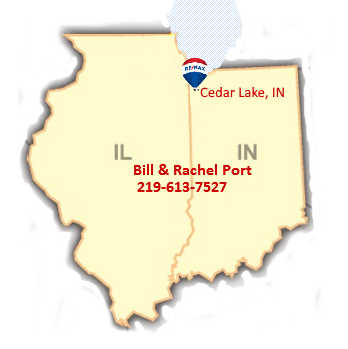 We are your local Cedar Lake Realtors, Bill and Rachel Port of RE/MAX Realty Associates. We know what modern buyers are looking for in a home. We make it our job to help you enhance your home to sell for top dollar. We want to be your Cedar Lake Real Estate Broker! Marketing homes is a skill. Choosing the right real estate agent can make a big difference when selling your home. We use professional photos, video and Internet Marketing to sell your home. By combining the amenities of your home with the local Cedar Lake community our marketing attracts qualified buyers to your home. FREE. Click here for a FREE Home Market Evaluation of your Cedar Lake, IN home! There are a number of Cedar Lake subdivisions and neighborhoods tp choose from. We’ve begun to make a list of the most popular Cedar Lake subdivisions. Click the subdivision links below to view information about these communities. encompasses 800 acres, is the largest natural lake in Northwest Indiana. Numerous parks line the lakeshore and offer picnic and viewing areas, public access, boat launch, beaches and fishing piers. Cedar Lake is an upscale and diverse community with a wide range of housing choices. Cedar Lake prides itself on its school system and its abundance of parks. The community of Cedar Lake covers 9.82 miles, 1.30 miles of that being water and an estimated population of 11,560 people. 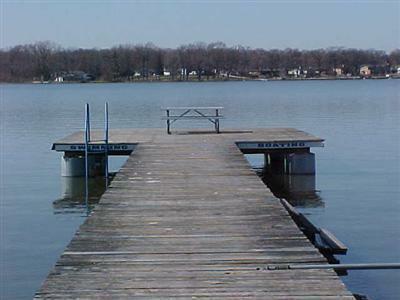 Because of its proximity to Chicago IL, Cedar Lake has long been known as a popular resort destination. Business in Cedar Lake is thriving. Some hotels and condominium buildings are up to 7 stories high, but the majority of housing is single-family homes in residential, tree-lined subdivisions. Search this page for a complete list of all Cedar Lake homes for sale. Cedar Lake is a short 26 mile (50 minutes) commute to Downtown Chicago, IL. Cedar Lake homes are priced from $100,000 to $1,000,000. The Town of Cedar Lake, Indiana is rich is in history. Originally the home of the Potowatomi Indians. Cedar Lake was settled by pioneers in the mid-19th century and was originally named West Point; the name “Cedar Lake” belonged to a nearby town that is now called Creston, Indiana. In 1839, the town that was then called West Point competed with the settlements of Liverpool and Lake Court House (later called Crown Point) to be the county seat of Lake County but lost out to Liverpool. By 1870, the Cedar Lake Post Office was established, giving the area a new name. After the Monon Railroad came to the lake's western shore in 1882, many new residents flocked to the area along with tourists who saw the lake as a resort destination. From the late 19th century to the early 20th century, Cedar Lake was a popular place for Chicagoans looking for a retreat from the city. The lake had over 50 hotels at the time and several pavilions and ballrooms that brought many well-known bands to entertain the visitors. The Lassen Hotel and Monon Park Dancing Pavilion are listed in the National Register of Historic Places. More historical information can be found on the Cedar Lake website. *Always verify your municipality and schools before you buy a house. For information regarding private schools please see our Lake County Schools page. Looking for something to do on Date night? Cedar Lake offers an abundance of restaurants ranging from pizza to pub fare. We enjoy going to the Lighthouse Restaurant, NWI premier dining experience with Chef Ken McRae’s award-winning cuisine. There are a lot more to choose from. You won’t get bored with the selection of Cedar Lake restaurants that are close to home. Do you love sunsets? Cedar Lake is the place to be in NWI to view a beautiful sunset. Book a pontoon boat ride with Cedar Lake Sunset Cruise. 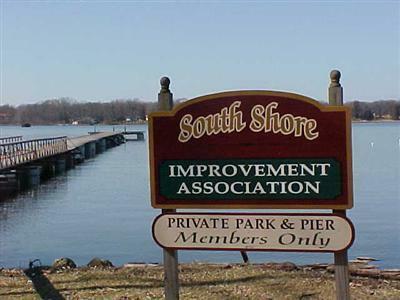 The Cedar Lake Yacht Club host weekly Sunday scow sailing and regattas. If you don’t have your own watercraft, pontoon or wave runner, rentals are available. If you prefer not to be on the water but on the links, Cedar Creek Family Golf offers a public golf course or South Shore Country Club which is semi-private. How would you like to own a house close to fun activities? A fun event for the whole family is Cedar Lake’s annual Summerfest, is held at the beginning of July. It includes a July 4th parade, fireworks over the lake and cardboard boat races. Cedar Lake also host Hometown Fest in September. For more fun events check out Cedar Lake Town page. During the summer months visit the Cedar Lake Historical Association Museum. It is on the National Register of Historical Places. The museum houses 11 special exhibits highlighting Cedar Lakes history and consist of rooms featuring period settings. Insist on Bill Port & Rachel Port to get your home sold! 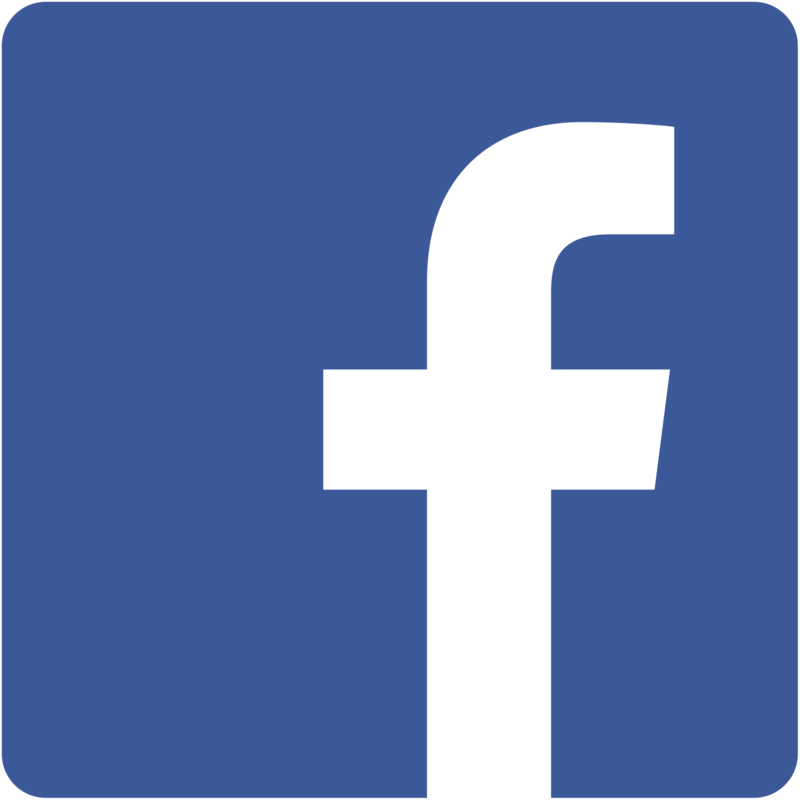 Click here to view other Northwest Indiana Communities! 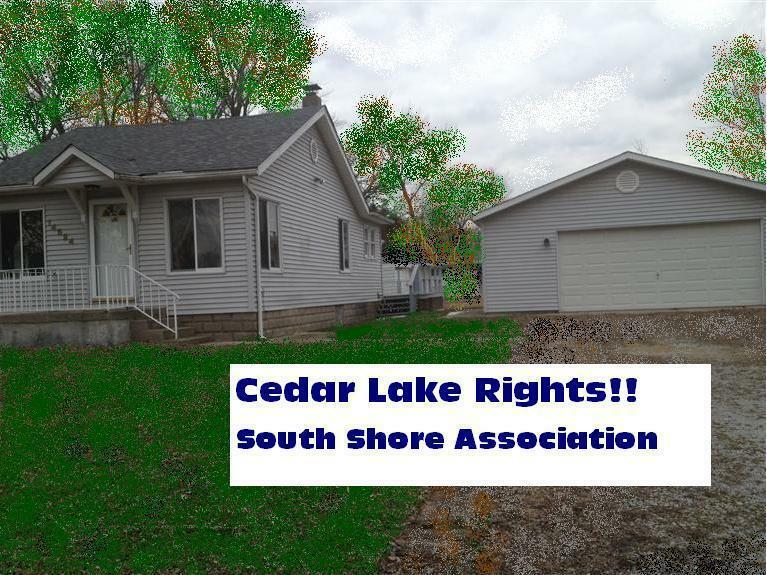 Search every listed house for sale in Cedar Lake on the bottom of this page. We can negotiate on your behalf to buy any home listed with any Realtor.